In case you were wondering why it wasn't out on October 13. After being delayed from its initial October 13 release date, Japanese developer Bimboosoft announced it will launch PlayStation 4 and PlayStation VR title Rollercoaster Dreams digitally worldwide on December 22 for $19.99 / 2,500 yen. Bimboosoft cites “VR optimization including anti-motion sickness” for the delay. 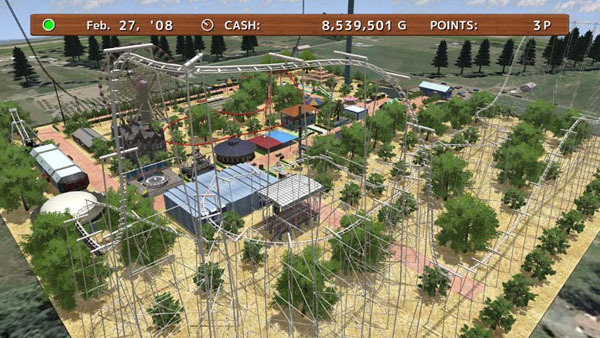 You can play VR mode only in Free Walking mode which includes rollercoasters, attractions and mini games. Free Walking is a mode to walk around amusement parks freely, and it is available in Park Management and Online Park. With the default setting, some facilities are restricted to use in VR mode, although you can use them if you change the option. Motion sickness is different with each person. There is a possibility that you get used to VR and feel less motion sickness after some experiences. When you are walking, you can turn in 45 degree unit or non step. You can also change the walk speed in the option. It is recommended to use the headphones or earphones since Rollercoaster Dreams supports 3D virtual surround sound. Connect the headphone to the mini jack of PS VR, not the TV. Asteroid Rally and Asteroid Crisis (mini game) use a BGM with deep bass. So it is recommended to use bass boost headphones. The objects will be displayed further with detailed models. The shadow (shadow map) resolution will increase (TV mode). 4K will be supported (TV mode / when PS VR’s power is OFF). Visit the official website for details on game modes and attractions.